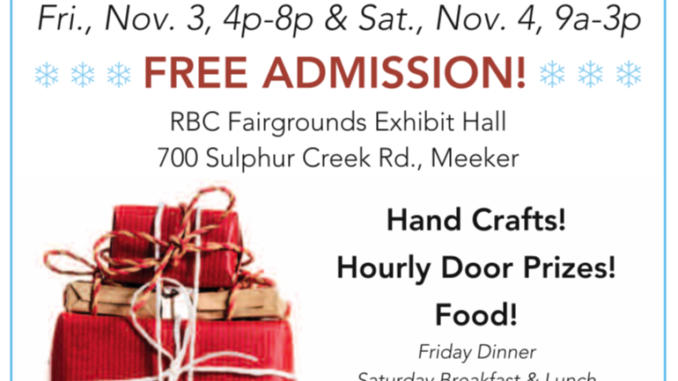 MEEKER | The annual Meeker craft and gift show will be held at the Rio Blanco County Fairgrounds this Friday and Saturday. Show times are 4-8 p.m. Friday and 9 a.m. to 3 p.m. Saturday, sponsored by the Ladies Social Club of Meeker. Dinner on Friday and lunch on Saturday served by the Meeker Christian Ladies group.